The base 2017 Honda Accord Hybrid delivers all the fuel economy benefits at a lower price, but reduces the "hybrid penalty" of competitors that load features into even their least-pricey hybrids. 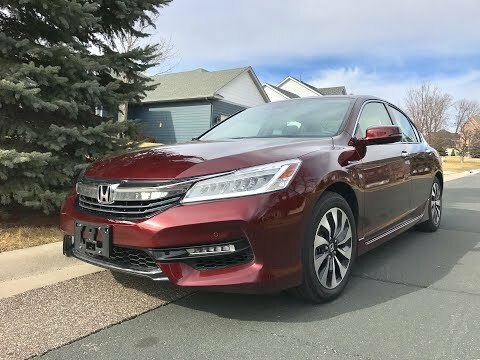 The 2017 Honda Accord Hybrid remains a handsome mid-size sedan with excellent fuel economy; with Honda promising better availability, it should be a strong competitor. After a year off the market, the 2017 Honda Accord Hybrid has returned. It has not only all the changes made to the conventional Accord mid-size sedan for the 2016 model year, but also an updated and slightly more efficient powertrain. Three trim levels are offered on the most fuel-efficient Accord this year: Hybrid, Hybrid EX-L, and Hybrid Touring. Launched in 2014, the Accord Hybrid was intended to compete directly against hybrid versions of the Ford Fusion, Hyundai Sonata, Kia Optima, and Toyota Camry sedans. But parts shortages and production constraints limited supply and frustrated eager consumers. Honda says it has now doubled production capacity, and will be able to sell up to twice as many 2017 hybrid Accord as in previous years. The previous Accord Hybrid was a genuinely desirable hybrid mid-size sedan, and won several awards—including the Green Car Reports Best Car To Buy 2014 crown. 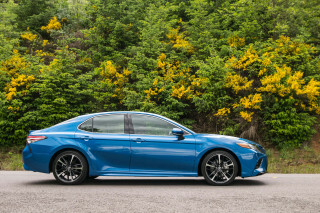 This year's version maintain all of its good qualities, with more standard and optional features and incrementally better fuel-economy ratings. Honda no longer offers mild-hybrid technology on its smallest models. With gasoline engines in small cars already delivering 35 mpg or more, Honda sees the biggest gains in using hybrids for the larger, heavier vehicles that today's U.S. market snaps up. 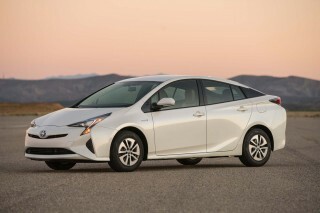 So its powerful two-motor hybrid system will power only mid-size and larger models. Inside and out, the 2017 Accord Hybrid is largely a standard-issue Accord sedan, with a few added features. It remains a clean, handsome shape even in its fifth model year. The designers win special praise for keeping the window line low, improving rear visibility and letting shorter rear-seat riders see out the windows. Interior differences are confined to trim, plus added displays in the gauge cluster and central touchscreen giving details of the car's powertrain operation and energy use. The power-meter graphic to the left of the speedometer is particularly intuitive, with a gap in the bars that clearly shows when the engine will switch on. Under the hood, Honda's clever, compact two-motor full hybrid system offers electric running at lower speeds under most normal driving conditions, adds electric torque to assist the smaller gasoline engine, and recaptures energy that would otherwise be wasted as brake heat via regenerative braking. 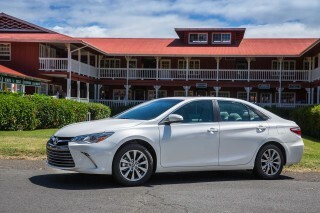 The result is "class-leading EPA fuel economy ratings" of 49 mpg city, 47 highway, 48 combined. 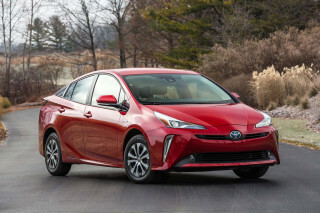 Those numbers use new and tougher EPA test procedures launched for the 2017 model year. 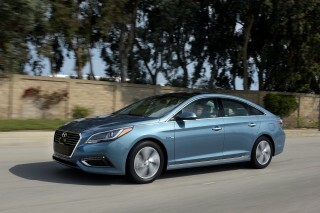 The previous Accord Hybrid was rated at 50/45/47 mpg under the previous test routines. The highest-rated of its competitors, the Chevy Malibu Hybrid, hasn't yet been re-rated for 2017, so we don't know how the two will compare. 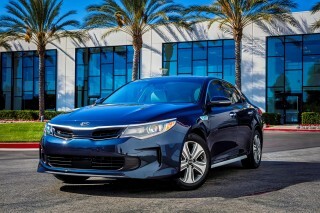 Hybrid Sonata, Optima, and Camry models are rated considerably lower. The 2.0-liter 4-cylinder engine, which runs on the ultra-efficient Atkinson cycle, has been updated for 2017. One of the two electric motors remains fixed to the back of the engine, serving as a generator to charge the battery pack on engine overrun. A second electric motor that powers the vehicle is fixed to the differential that transfers power to the front wheels. It too can recharge the battery under regenerative braking. The combined output of the engine and the drive motor is 212 horsepower, 16 hp more than the previous 2015 hybrid Accord, and he highest power among mid-size hybrid sedans. The 1.3-kilowatt-hour lithium-ion battery pack mounted in the trunk is smaller this year, boosting trunk capacity to 13.5 cubic feet from 12.7 cubic feet previously. Honda says that's the highest in the segment as well. The hybrid system has three operating modes, automatically selected by the control software for maximum efficiency. It can accelerate on electricity up to 30 mph, and it will also drop into electric-only mode under light load at higher speeds up to 60 mph. It also functions as a conventional parallel hybrid with engine and motor together contributing torque. At higher speeds, the engine alone powers the front wheels, with no electric involvement, when that's most efficient. On the road, the Accord Hybrid isn't quite as light and lithe as the base model with a conventional 4-cylinder engine. 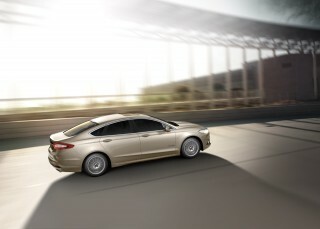 Its handling and roadholding falls into the middle of the hybrid sedan pack. We still prefer the Ford Fusion Hybrid, but the hybrid Accord is better than the Hyundai and Kia and notably better than the aging Toyota Camry. Engine noise is well muffled under normal operation, but rises to a quite noticeable whining howl when the accelerator is floored under maximum load. In more usual circumstances, it switches on so smoothly that a driver won't necessarily know what's happening under the hood. 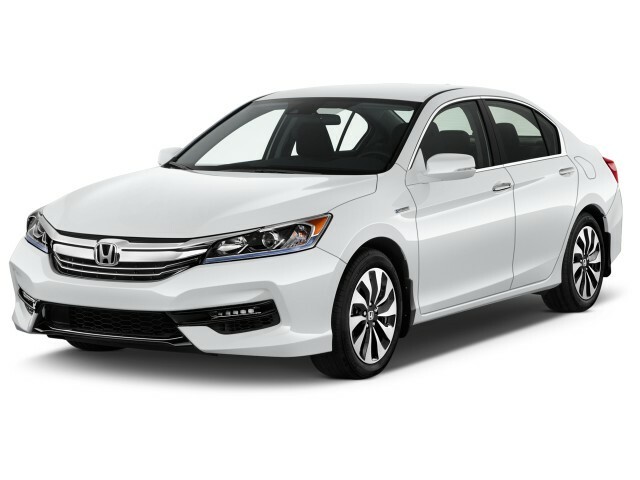 Honda expects the hybrid Accord to receive the highest safety ratings from the NHTSA, as well as an IIHS Top Safety Pick+ designation, which the 2016 Accord sedan has already received. Safety features include a rearview camera with a wide-angle display, and the Honda Sensing suite of forward-collision warnings, automatic emergency braking, lane-departure warning and lane-keeping assist, adaptive cruise control, and road-departure mitigation. Three trim levels are available for the 2017 Honda Accord Hybrid sedan: Hybrid, Hybrid EX-L, and Hybrid Touring. The latter two roughly correspond to the highest trim levels on the conventional Accord sedan. Unique features of the Accord Hybrid include LED headlights and taillights with blue accents, an aluminum hood, aluminum alloy wheels, and various badges and "Hybrid" identifiers. Options vary by trim level, but they include a 7.0-inch touchscreen audio system that incorporates Android Auto and Apple CarPlay, front and rear parking sensors, and heated rear seats. While the conventional Honda Accord sedan continues to be built in North America, the 2017 Accord Hybrid is imported from Japan, where all hybrid models are assembled. Honda previously offered an Accord Hybrid from 2004-2007, by the way. But it tuned that car's mild-hybrid system for extra performance, not fuel economy, which confused potential buyers. The model was withdrawn after it failed to sell. Meanwhile, the very low-volume Accord plug-in hybrid offered in 2014 is permanently retired, to be replaced next year by a plug-in hybrid model of the upcoming Honda Clarity sedan. To optimize the mileage, drive in the "B" mode and take full advantage of the regenerative braking. In doing so, you will maximize the range of the electric motor. I frequently can top of the charge in the "B"... To optimize the mileage, drive in the "B" mode and take full advantage of the regenerative braking. In doing so, you will maximize the range of the electric motor. I frequently can top of the charge in the "B" mode where I almost never do in the standard "D". I love every thing about the car except the smaller trunk. We purchased our 2017 Honda Hybrid EXL in September 2016. We love everything about it except for the small trunk. We also own a 2012 Prius V and the Honda is much better engineered. We took a trip to the... We purchased our 2017 Honda Hybrid EXL in September 2016. We love everything about it except for the small trunk. We also own a 2012 Prius V and the Honda is much better engineered. We took a trip to the mountains and in 2500 miles of driving we averaged over 44 mpg. The only other issue is that the front passenger seat will not adjust to a higher level. When a short person sits in the passenger seat, it is difficult to see over the dash. We carry a pillow seat to raise the person up. We are big believers in hybrid technology. Looking for a different year of the Honda Accord Hybrid?